"West Suburban Oral Healthcare is fantastic. Thank you Dr. Mazzei and team." "Outstanding dentist and staff. Very professional and great with our kids." "Love Dr. Mazzei. I have been coming here for years and they are simply the best!" "Thank you...for your hard work, professionalism, and so very friendly manner." "Dr. Mazzei is great and so is her staff." "Dr. Mazzei is the best dentist ever! So thankful I found her!!" "This dentist is the best around! Dr. Mazzei has been my dentist for over 20 years." "Dr. Mazzei and Dr. Fajardo do a great job!" "Dr. Mazzei is awesome! She is a terrific dentist and a great teacher!" "Dr. Susan Mazzei is the best! I recommend her to all my friends and family!!" Dr. Susan Mazzei and Dr. Kelsey Esposito at West Suburban Oral Healthcare offer a wide array of dental services in Warrenville, Illinois. From general and restorative dental care to innovative cosmetic services like teeth whitening and Invisalign®, the providers at West Suburban Oral Healthcare deliver the highest level of care possible to meet your oral health needs. The staff at West Suburban Oral Health Care utilize state-of-the-art diagnostic and dental treatment technology to ensure accuracy and early detection of oral complications. This includes the use of OralDNA Labs® designed to provide reliable, definitive, and cost-effective clinical tests that guide oral health professionals in detecting disease at an earlier, more treatable stage. Besides their advanced technology, West Suburban Oral Healthcare offers a relaxing and comfortable environment. This includes the implementation of multiple pain management techniques to prevent discomfort from treatment and minimize your dental anxiety, if necessary. 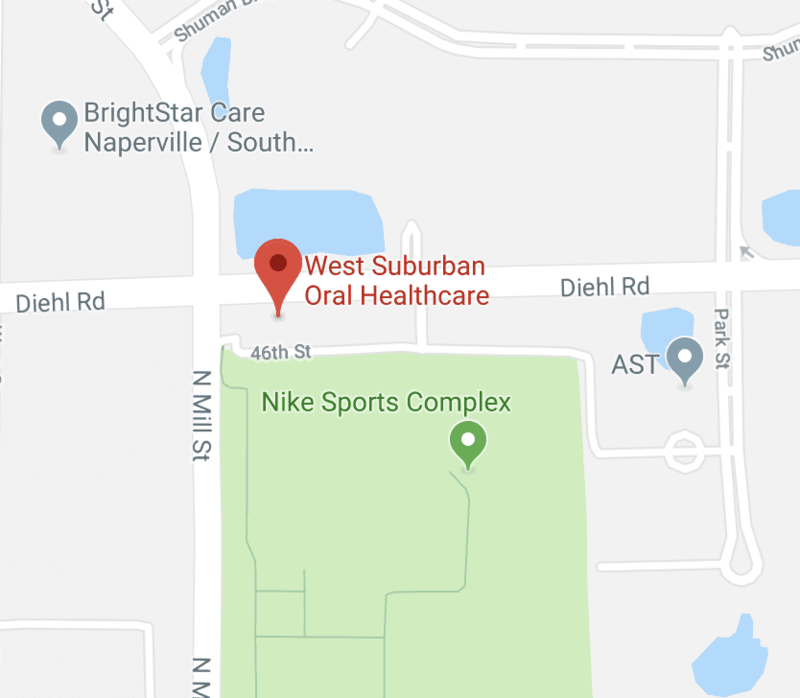 If you’re looking for the highest quality of dental care in an environment that puts you at ease, call West Suburban Oral Healthcare today or schedule an appointment online. Dr. Mazzei and Dr. Esposito look forward to helping you achieve the smile you’ve always wanted. Check out our new blog, coming soon! "Dr. Mazzei has been my dentist for a few years now. I see her twice a year for cleanings and her staff is exceptional!" "I've been a patient (along with my family) for almost 20 years. Thanks for being a great dentist!" "Best dentist ever! Dr. Mazzei really cares and it shows. Been coming here for many years." "I have been a patient of Dr. Mazzei's for years - probably 18! I am so impressed with her knowledge, professionalism, patient care, and concern." "I've been going to Dr. Mazzei for about fifteen years. I have never had a better dentist. Her staff is great and always provide friendly service." "Nothing short of a top tier level office. You and your family will never regret trusting your oral health to Dr. Mazzei and her amazing staff." "Dr. Mazzei is an amazing dentist! I have recommended her to many friends. Our kids love going to the dentist, all because of Mazzei and her team." "Too many great thoughts to put into words about Dr. Mazzei. Multi-talented, expertly skilled, compassionate, and fun!" "Dr. Mazzei has been my entire family's and extended family's dentist for probably over 25 years now. Thanks, Dr. Mazzei!" "Nothing more to say than I travel from out of state just to go to this dentist! Best in country!!" "Dr. Mazzei is an amazing dentist! I have recommended her to many friends. Our kids love going to the dentist, all because of Dr. Mazzei and her team."